Research in CSSI incorporates a research projects, research publications and research exchanges. Here you will be able to find books on corporate philanthropy, sponsorship and partnerships. ABBOTT, K. W., GENSCHEL, P., SNIDAL, D. & ZANGL, B. (Eds.) 2015. International organizations as orchestrators. Cambridge: Cambridge University Press. Available here. International Organizations as Orchestrators reveals how IOs leverage their limited authority and resources to increase their effectiveness, power, and autonomy from states. By 'orchestrating' intermediaries—ncluding NGOs—IOs can shape and steer global governance without engaging in hard, direct regulation. This volume is organized around a theoretical model that emphasizes voluntary collaboration and support. An outstanding group of scholars investigate the significance of orchestration across key issue areas, including trade, finance, environment and labor, and in leading organizations, including the GEF, G20, WTO, EU, Kimberley Process, UNEP and ILO. The empirical studies find that orchestration is pervasive. They broadly confirm the theoretical hypotheses while providing important new insights, especially that states often welcome IO orchestration as achieving governance without creating strong institutions. This volume changes our understanding of the relationships among IOs, nonstate actors and states in global governance, using a theoretical framework applicable to domestic governance. BITZER, V., HAMANN, R. HALL, M. & GRIFFIN-EL, E. W. (Eds.) 2015. The Business of social and environmental innovation: New frontiers in Africa. Springer. Available here. In the face of limited progress toward addressing poverty and resource degradation, increasing attention has been paid to harnessing the entrepreneurial, innovative, managerial and financial capacities of business for improved social and environmental outcomes. A more proactive role for business in sustainable development is especially pertinent in sub-Saharan Africa, which has been plagued by conflict and poverty but shows signs of a brighter future as the world’s second-fastest-growing region. This book contributes to the growing body of scholarly work on social and environmental innovation with the two-fold aim of studying the role of business in creating such innovation and focusing the analysis to the African context. To cover the various terrains of social and environmental innovation,this book contains novel empirical cases looking at social or environmental enterprises, social intrapreneurship and innovation in incumbent businesses, and social innovation through cross-sector collaboration. The final part of the book focuses on the implications for academics, exploring the role of universities and business schools in social innovation. AULD, G. 2014b. Constructing private governance: The rise and evolution of forest, coffee, and fisheries certification : Yale University Press. Available here. Recent decades have witnessed the rise of social and environmental certification programs that are intended to promote responsible business practices. Consumers now encounter organic or fair-trade labels on a variety of products, implying such desirable benefits as improved environmental conditions or more equitable market transactions. But what do we know about the origins and development of the organizations behind these labels? This book examines forest, coffee, and fishery certification programs to reveal how the early decisions of programs on governance and standards affect the path along which individual programs evolve and the variety and number of programs across sectors. AUSTIN, J. & SEITANIDI, M. MAY. 2014. Creating value in nonprofit-business collaborations: New thinking and practice. Jossey Bass. Available here. Creating Value in Nonprofit-Business Collaborations: New Thinking & Practice provides breakthrough thinking about how to conceptualize and realize collaborative value. With over a hundred case examples from around the globe and hundreds of literature references, the book reveals how collaboration between businesses and nonprofit organizations can most effectively co-create significant economic, social, and environmental value for society, organizations, and individuals. 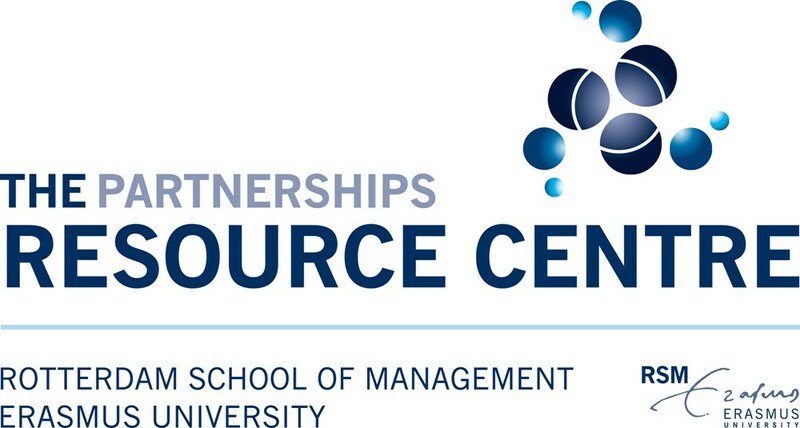 This essential resource features the ground-breaking Collaborative Value Creation framework that can be used for analyzing the sources, forms, and processes of value creation in partnerships between businesses and nonprofits. The book is a step-by-step guide for business managers and non-profit practitioners for achieving successful cross-sector partnerships. It examines the key dimensions of the Collaborative Mindset that shape each partner’s collaborative efforts. It analyzes the drivers of partnership evolution along the Collaboration Continuum, and sets forth the key pathways in the Collaboration Process Value Chain. The book concludes by offering Twelve Smart Practices of Collaborative Value Creation for the design and management of cross sector partnerships. The book will empower organizations to strategically increase the potential for value creation both for the partners and society. BOVIS, C. 2014. Public-private partnerships in the European Union. New York: Routledge. CHAN, A. P. C. & CHEUNG, E. 2014. Public-private partnerships in international construction: Learning from case studies. New York: Routledge. Over the last ten years public private partnerships have become ever more popular worldwide, expanding the body of experience among construction professionals, government agencies, and industry. In these economically challenging times, PPP has emerged as a crucial framework for providing infrastructure, and also to boost construction industry activity, while shielding the taxpayer from some of the cost. Understanding the lessons learnt is essential to ensuring the success of future projects, and this timely book will prepare the reader to do just that. Starting by defining PPP itself, part one is designed to help the novice to get to grips with the basics of this topic. Part two tackles the practicalities of PPPs, including successful implementation, managing the risks involved, and how to assess the suitability of a project for the PPP route. Part three presents detailed case studies from Asia, Africa, and Australia to illustrate how PPPs should be managed, how problems emerge, and how PPPs can differ across the world. Drawing on extensive internationally conducted research, from both industry and academia, the authors have written the essential PPP guide. Taking into consideration the perspectives of those in the public sector and the private sector, as well as built environment professionals, it is essential reading for anyone preparing to work on public private partnerships in construction. CLARKE, L. 2014. Public-private partnerships and responsibility under international law: a global health perspective, New York: Routledge. This book explores the issue of responsibility under international law in the context of global health public-private partnerships. The legal status of partnerships under international law is explored in order to determine whether or not partnerships have legal personality under international law, resulting in them being subject to rules of responsibility under international law. The possibility of holding partnerships responsible in domestic legal systems and the immunity partnerships have from the jurisdiction of domestic courts in certain states is also considered. The obstacles to holding partnerships themselves responsible leads finally to an investigation into the possibility of holding states and/or international organizations, as partners and/or hosts of partnerships, responsible under international law in relation to the acts of partnerships. ENGEL, E., FISCHER, R. D. & GALETOVIC, A. 2014. The economics of public-private partnerships: A basic guide. Cambridge University Press. Governments typically build and maintain public infrastructure, which they fund through taxes. But in the past twenty-five years, many developing and advanced economies have introduced public-private partnerships (PPPs), which bundle finance, construction, and operation into a long-term contract with a private firm. In this book, the authors provide a summary of what, they believe, are the main lessons learned from the interplay of experience and the academic literature on PPPs, addressing such key issues as, when governments should choose a PPP instead of a conventional provision, how PPPs should be implemented, and the appropriate governance structures for PPPs. The authors argue that the fiscal impact of PPPs is similar to that of conventional provisions and that they do not liberate public funds. The case for PPPs rests on efficiency gains and service improvements, which often prove elusive. Indeed, pervasive renegotiations, faulty fiscal accounting, and poor governance threaten the PPP model. LAWTON, T. C., DOH, J. P. & RAJWANI, T. 2014. Aligning for advantage: Competitive strategies for the political and social arenas. Oxford University Press: 256 pages. Available here. Ιn today’s multipolar world economy, strategic alignment is a key determinant of competitive advantage. This important book: 1) Argues that to build and sustain corporate success, companies must synchronize business objectives and market positions with political and regulatory activism and social and environmental engagement. 2) Advances an argument and logic for aligning nonmarket and market strategies to deliver competitive advantage. 3) Develops a conceptual framework and managerial process for designing and delivering successful nonmarket strategies. In this e-pamphlet, Henry Mintzberg claims that our world is out of balance with the consequence of a degradation of our environment and the demise of our democracies. Mintzberg argues that a healthy society is built on three balanced pillars: a public sector of respected governments, a private sector of responsible enterprises, and what he calls a plural sector of nonprofits and NGOs. He argues that many governments are currently co-opted by their private sectors to the extent that they are unable to lead the process of renewal. Corporate social responsibility, however laudable, cannot compensate for the corporate social irresponsibility we see all around us. Mintzberg offers specific ideas for strengthening the plural sector, which has the inclination and the independence to lead radical renewal by challenging unacceptable practices and developing better ones. RAMESH, G., NAGADEVARA, V., NAIK, G. & SURAJ, A.2014. Public-private partnerships. New York: Routledge. VERBEKE, A., VAN TULDER, R. & STRANGE, R. 2014. International business and sustainable development. Progress in International Business Research series, v. 8. Emerald. Available here. Sustainable development is one of the key challenges of our time. It has social, ecological and economic dimensions, which makes it also a multi-faceted and complex problem. International Business scholars have stressed that the Multinational Enterprise should be considered the most important vehicle through which sustainable development occurs in developing countries. However, actual study of the topic remains fraught with theoretical and empirical caveats. This eighth volume in the Progress in International Business Research series includes new texts from a number of leading scholars and opinion leaders in the area. Contributors develop new levels of analysis (in particular global value chains or the partnership strategies of firms) that present promising areas for new theoretical and empirical insights. Whilst authors from leading international institutes are brought together in this volume, younger scholars with innovative ideas also offer valuable insights. WIRTENBERG , J. 2014. Building a culture for sustainability: People, planet, and profits in a new green economy. ABC-CLIO. This practical, easy-to-understand book sets a path to successfully building a culture for sustainability in today’s global marketplace, providing «best practice» case studies from industries and sectors including manufacturing, business-to-business, hospitality, consumer products, telecommunications, and professional services.